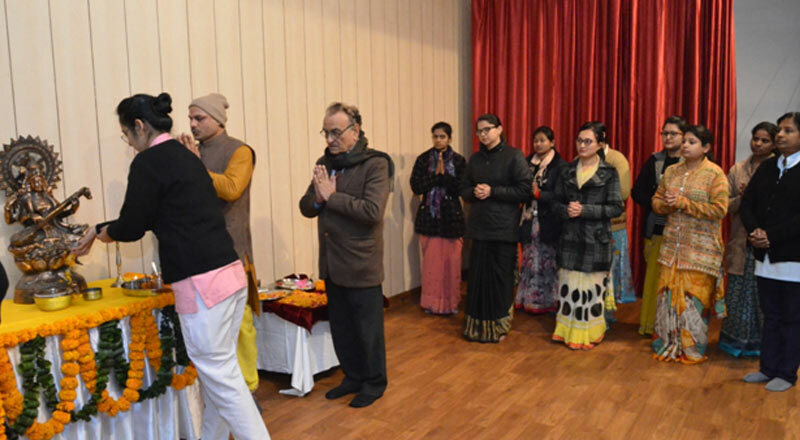 On 22 Jan, 2018 the occasion of Basant Panchami was celebrated in Shri Ram Murti Smarak College of Nursing so as to worship Maa Saraswati, the goddess of knowledge and wisdom. The management and staff of SRMS College of Nursing participated with great spiritual values. Our respected Trust Administrator, Mr. Subhash Mehra; Matron, Mrs. Joyce and our Nursing Faculties- Mrs. Henthoi, Ms. Sumeet, Ms. Alisha, Ms. Shahjahan, Ms. Sonali and Ms. Anjali and all the College students, were present during this holy occasion..